Tasmanian vineyard Delamere's Fran, Zac and Shane. 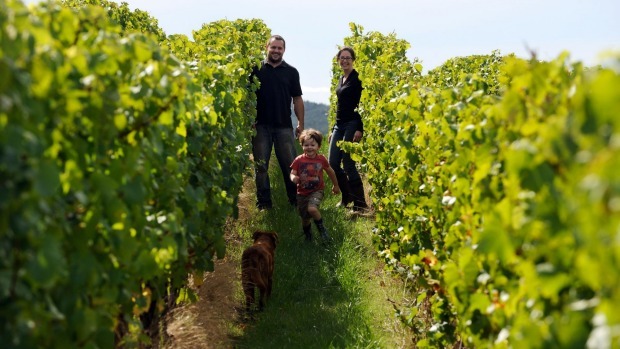 The winemakers of Tasmania’s Tamar Valley are hitting the small screen, Winsor Dobbin writes. Drive up to the Holm Oak cellar door and you might well find it deserted. Hang around for a few minutes and winemaker Bec Duffy might wander in after blending pinot noir. Or you might have to hit your car horn a couple of times to alert her viticulturist husband, Tim, who will drive in from the vineyards on his tractor. The Tamar Valley is one of Australia's most relaxed wine regions, where everything moves at a country Tasmanian pace. Or has – until now. During the 2014 vintage, a traumatic one with reduced yields for most grape growers, a TV crew led by wine writer Tyson Stelzer ranged around the district following the trials, tribulations and triumphs of six winemaking teams: Natalie Fryar at Jansz, Bec and Tim Duffy at Holm Oak, Fran Austin and her husband Shane Holloway from Delamere, former first-class cricketer Joe Holyman from Stoney Rise, Jeremy Dineen from Josef Chromy and Tom Wallace from Tamar Ridge. Sweeping view: The Tamar Valley Vineyard. 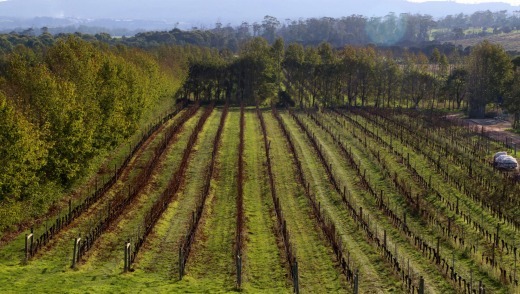 The Tamar Valley wine region is actually three regions in one – all of which are a short drive from Tasmania's second city of Launceston. The Tamar Valley lies to the north, Pipers River to the north-east and Relbia to the south. Although there are plenty of cellar doors and a handful of winery restaurants, the Tamar is largely undeveloped in terms of mass tourism. There are no chain hotels or mass-market fast food restaurants outside Launceston city. Where there is a reality TV show, tourists follow, however, and there is much to enjoy in and around the vineyards and the city of Launceston itself. "People now are starting to get a good understanding about food and wine tourism in regional Tasmania, and it's a whole new ball game for smaller vineyards," says Shane Holloway, of Delamere. "We have no idea what changes, if any, may follow the screening of this program." The biggest cellar doors in the region include Tamar Ridge, Josef Chromy, Bay of Fires, the Jansz Wine Room and Pipers Brook Vineyard but there are also several smaller, family-owned producers worth visiting. As the Tamar is a cool-climate region, visitors can expect to find sparkling wines, chardonnays, pinot noirs, and aromatic whites such as sauvignon blanc, riesling and pinot gris. Moores Hill, Goaty Hill, Leaning Church, Delamere, Sinapius, Stoney Rise, Marion's Vineyard, Native Point, Holm Oak and Winter Brook all offer boutique hospitality, while it is worth making an appointment to visit idiosyncratic Grey Sands. Opening times can vary seasonally, so it does pay to check ahead whether the tasting room you want to visit will be open. Visitors can follow about 170 kilometres of trails marked by yellow and blue "Wine Route" road signage and several small producers offer tastings at the award-winning Harvest Market held every Saturday morning. 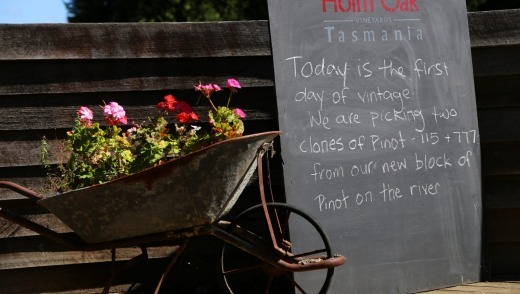 A sign of the times at Holm Oak vineyard, Tasmania. People from the Tamar and surrounding farming regions sell gourmet cheeses, locally grown organic vegetables, fruit, herbs, flowers and plants, pasture-raised pork and farmed rabbits. 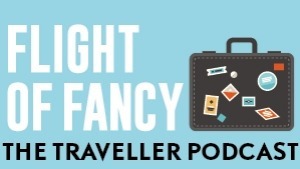 Josef Chromy, with a top-notch restaurant specialising in Tasmanian produce, Velo Wines, with a delightful vineyard cafe, and Tamar Ridge's Rosevears cellar door with local platters are the best places to break your journey for a meal. Settled in 1806, Launceston is one of Australia's oldest cities and is home to many historic buildings. It was named after Launceston in Cornwall and retains a very English feel. Many of the buildings in the CBD date back to the 19th and early 20th centuries and there are several well-preserved Victorian and Georgian homes. Low-rise buildings dominate and there are many leafy, and sometimes hilly, side streets. The Seaport precinct on the CBD fringe is lively with its marina, cafes, restaurants and river boardwalk, while spectacular Cataract Gorge, with its chairlift rides, the Queen Victoria Museum and Art Gallery and City Park with its Japanese macaque monkeys are all popular leisure destinations. Launceston is home to several excellent restaurants including Stillwater, Black Cow Bistro (which specialises in steaks of Tasmanian grass-fed beef), Pierre's, Smokey Joe's Creole Cafe, Mud, Brisbane Street Bistro, Me Wah and the Terrace at Country Club Tasmania. For kicking back and relaxing, PX Tapas, Burger Got Soul, Elaia Cafe, the Red Brick Cider House and Saint John are all popular with locals, while the James Boag Centre for Beer Lovers offers regular brewery tours and tastings. Garden of Vegan and Fresh offer vegetarian options. Launceston is also home to one of Australia's most quirky gourmet stores; Davies Grand Central, where you can buy petrol and papers, deli goods and local wines 24 hours a day. So if you need a slice of quiche, or a good bottle of Tamar Valley pinot noir at 3am, no problem. Another top destination for visitors wanting to take a few bottles home is the Pinot Shop, which features a wide range of boutique Tasmanian wines – including the producers featured on the show. Relax on the deck at Rosevears Vineyard and share a platter with friends while enjoying the spectacular views down the Tamar River. Cataract Gorge and the Tamar offer great opportunities for walking through the bush, or getting out on mountain bikes or kayaks. Golfers must make time to head out to Bridport and enjoy playing Barnbougle and the Lost Farm. Saint John is a great bar in Launceston while the sunsets at Lulworth Beach are spectacular. I like a coffee at Blue Cafe in Invermay and the monkeys in City Park. Shots on Wax is a cool new Launceston cafe and there are lots of terrific small fashion boutiques like the Leather Jacket, Et La Mer and House of Shoes. Qantas, Virgin Australia and Jetstar all fly to Launceston Airport, which is 15 kilometres south of the city. All major car hire companies have desks at the airport. The Hatherley Birrell Collection offers five styles of luxury apartments in Launceston, within a short drive of the vineyards. All are beautifully decorated and offer the most upmarket accommodation in town. Check out the two chic new garden pavilions; see hatherley.com.au. The writer was assisted by Tourism Tasmania and hosted by the Hatherley Birrell Collection.